Drive in today for a free estimate! 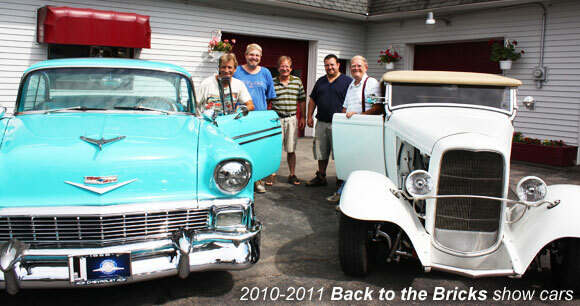 Maples Auto Collision is a family business established in the late 1930′s. We service Flint and the surrounding area. We offer FREE loaner cars to clients with current insurance coverage, in a variety of makes and models. When I first went in, I was greeted by a guy that was very friendly and seemed also very honest. They gave me a free car to drive and when I picked up my car, it looked great. The repairs looked great. The paint looked fantastic. They had even sent my car to a detail shop before it was finished. I didn’t find out until I picked up my car that the place was family owned and operated. They have my business from now on. Those guys are great. So, on my way to work one morning, a deer ran right into my truck, damaging the box and tail light. I called Maples and talked to Craig, who was friendly and helpful, also had a nice and free loaner car waiting that very day. I couldn’t believe how soon my truck was finished, just a few days, and it looks like new. I couldn’t be more happy with my whole experience and won’t go anywhere else from now on. Back in late 2015, I totaled my car by running into a cement base of a light in a parking lot. The airbags deployed, seat belts locked up and the radiator was crushed. Craig drove all the way to Detroit for a part I needed. They brought it in at cost of my payout and it looked perfect. Two weeks later I drove it from Flint to Miami and back, putting 4,000 miles on it, all without a single issue. You can’t get better than that! I was in town for work and had a burnt out front headlight in my car – typically not a big issue. I discovered that in order to get to the light, you have to first take the tire off, then the wheel well, then the bumper, etc. I called Maples after finding them on Google – they were able to get me in right away and changed my bulb for a VERY reasonable price!!! I am a VERY satisfied customer! Couldn’t have been better! I can’t say enough good things about Maples Collision. This is a family owned business and the pride of ownership definitely shows. Their attention to detail, work ethic and great customer service is second to none. I took a vehicle in that I had purchased with some damage so I was paying out of pocket. I was pleasantly surprised first of all, with the time that Craig took to locate used and new parts to help keep the cost down. I am sure that if I had taken it anywhere else that would not have happened. Secondly, I was pleased with how fast the whole process was. Within a day of getting the estimate, the parts were already in and being worked on. Within two days they were ready for me to drop off my vehicle and the job was completely finished within four days. I was provided a loaner car to use (at no charge) while the work was done. They did an excellent job! The cost was very reasonable, without compromising quality. The paint match couldn’t have been better and my car looks like new! Maples Collision has been in business for decades and their years of experience definitely shows. I would most definitely return if I have the need for any of their services in the future. In fact, I wouldn’t consider going anywhere else. I highly recommend them. Maples has game – being a road warrior in my profession, my Chevy HHR gets a lot of nicks, chips and dings. What makes it worse is my truck is red and has faded with time. The crew at Maples color matched my finish to the T! Having a courtesy car was a great help while my truck was repainted. Craig streamlined all the paperwork and put it in everyday language. I will always be a loyal customer, but then, I have been using maples since the 80’s. My car was hit twice in a 4 month period. Both times Maples Collision made my car look like new. Maples Collision takes pride in the work they do! Amazing repairs. Very helpful and courteous staff. Excellent customer service. I highly recommend Maples Collision for auto body repairs! GREAT CUSTOMER SERVICE – The customer relationship was great and very understanding with the economic conditions today. The environment around is like going to your family reunion out of state, very warm hearted people. You get to be introduced to everyone working on the vehicle, all friendly with smiles. And also fresh coffee when you arrive. They offer free loaner cars which is extra special. They get the vehicle back to you as soon as possible. I worked with Craig, he’s great, I can’t forget him. I forgot to mention they made my birthday special also. Should I say any more – I rate this business the highest. Awesome service and very friendly staff. Very impressed with the service we received. I needed a windshield replaced and Maples quoted me a price half the cost of a local competitor. Best Automotive collision repair shop around! I was referred to a local family owned business called Maples Collision to get some body and paint work done on a Tahoe of mine. This is not your large dealership where you are a number in their book. You are greeted at the door by a friendly gentleman and talked through the process it will take to fix your car. I picked up my Tahoe which was 6 yrs old and the paintwork Maples did matched perfectly! I have also had some other parts painted like running boards and a cowl hood for a project truck and again the paint matched perfectly to the factory finish. Bigger is not always better! They do it the right way, the OLD SCHOOL WAY! Please feel free to call, or use the contact form on the right to get in touch with us. We are sorry, but we’re unable to give any estimates over the phone or by email. Just bring your car into our shop for a free estimate. © 2019 Maples Auto Collision, all rights reserved. Proudly designed and maintained by Accelerated Global - Gainesville Website Builders. Photos by Graphic Edge Photography.